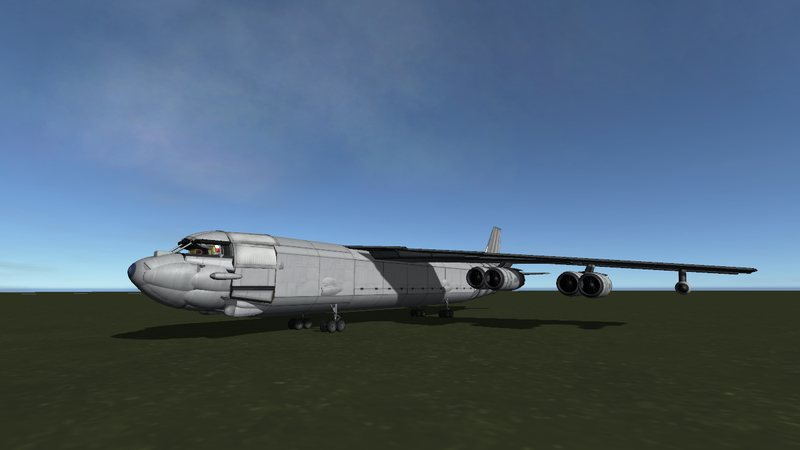 The B-52 Stratofortress has been a mainstay of the US Strategic Air Command for the since 1955, and is slated to continue in the USAF well into the 2040s. 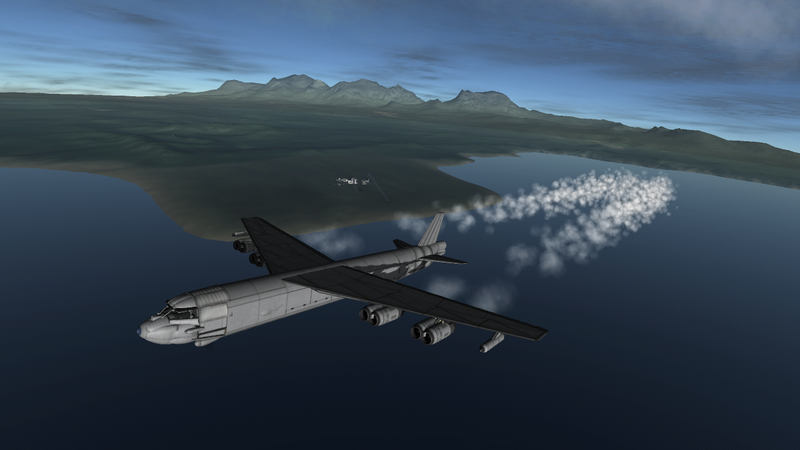 In fact, the B-52 entered service closer to the invention of flight than to the present day. The main reasons for its longevity are its ease of maintenance, low operating costs, and good handling characteristics. 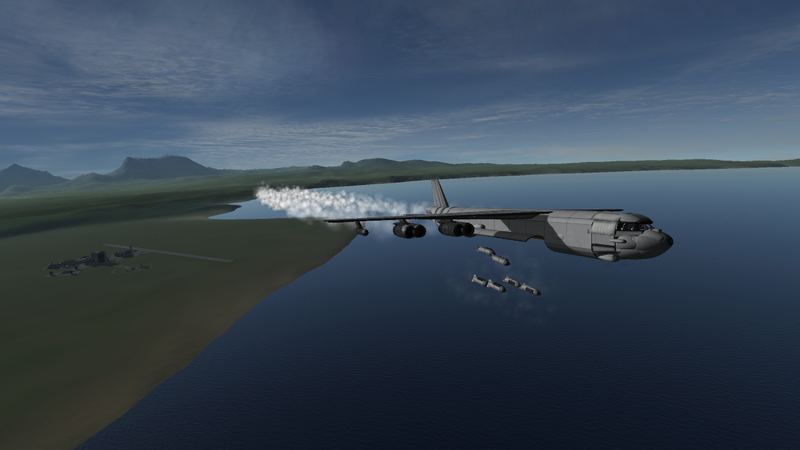 These have allowed the B-52 to outlive many more advanced designs like the Mach 3 B-70 Valkyrie and the B-2 Spirit. 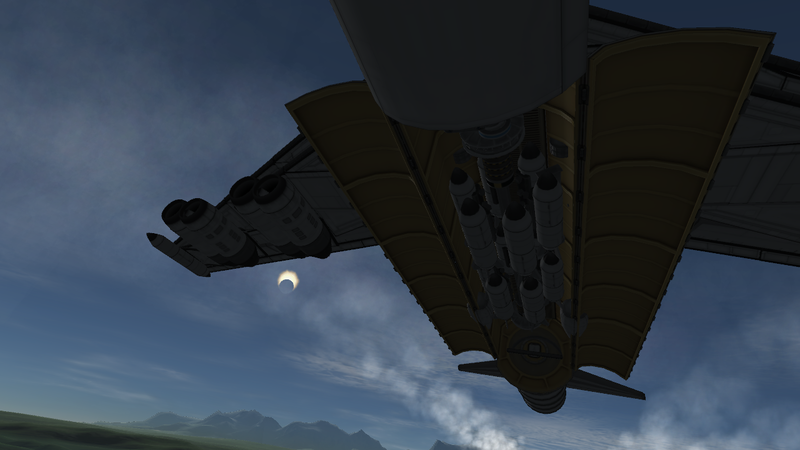 The craft has been updated to have a rotary bomb bay. 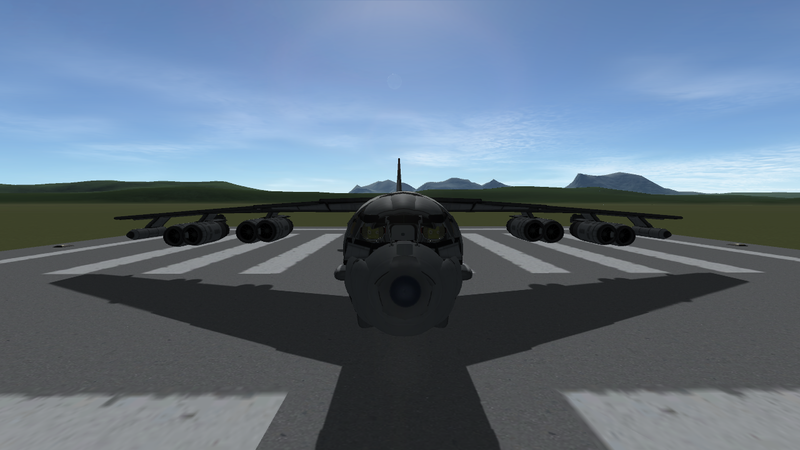 In order to use this, first open the bomb bays (AG 1), stage once to free the rotor. Switch to the bomb rack, disable SAS, and stage to drop the bombs. It should rotate on its own, but if not, use e to queue the next rack.